A large number of starlings congregate at Gretna every evening at sunset during the winter months to perform an elaborate aerobatic display before roosting in nearby conifer plantations. 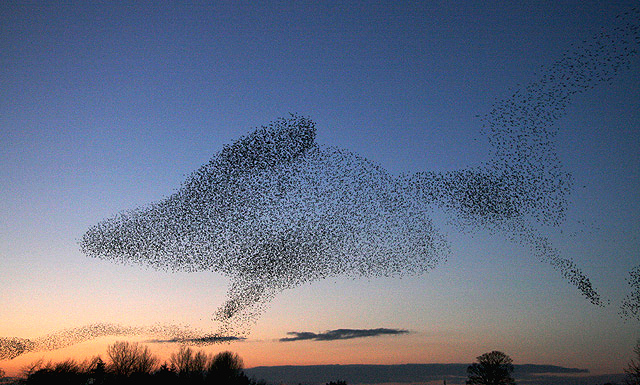 It can be quite breathtaking to witness the birds twisting into unusual patterns in the sky. This page has been viewed about 1635 times.